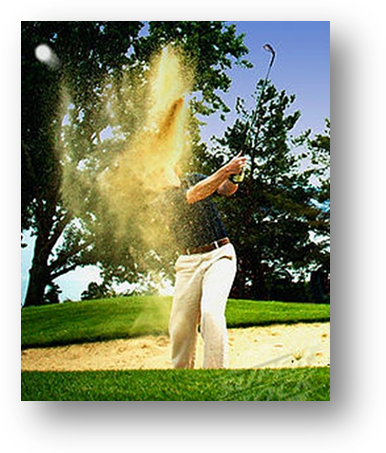 The perfect golf club hybrid sand and lob wedge is easy to hit out of sand shots, best wedge to hit lob and flop shots around the green. 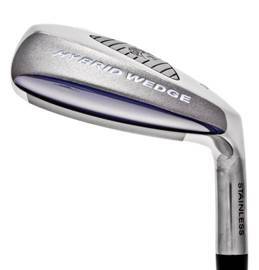 This golf wedge replaces 56 and 60 degree wedges. For Golfers Who: Are uncertain with easy bunkers shots, hit low pitches and lob shots into the green or have erratic distance control from 75 yards and in. Unlike other sand wedges, The Perfect Club Hybrid Wedge has the perfectly shaped sole, bounce and weight to deliver high, soft landing, accurate shots from every conceivable lie. Use The Perfect Club Hybrid Wedge from thick rough, for long and short shots from sand, for green side chips and pitches. The Perfect Club Hybrid Wedge delivers maximum spin for consistency and control. Super versatile in all conditions and shots- (rough, bunker, chipping, long bunker shot, pitching and extremely accurate inside 80 yards.) Puts excellent spin on the ball for control even out of tough lies. At 58 degrees its very easy to get high ball flight for going over trees Increases confidence hitting over water or trouble (no fat shots) The mass and weight allows the club to go through any sand or rough conditions. Lower your scores and increase your fun with The Perfect Club Hybrid Wedge. 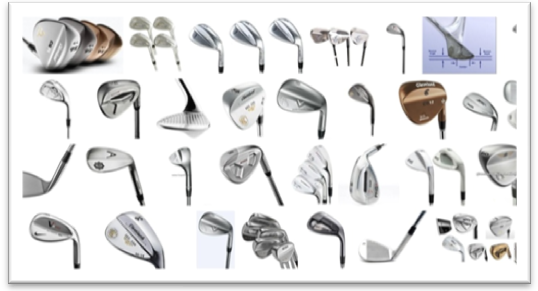 Have you ever wondered why using a sand or lob wedge is so difficult? Does it take you a couple swings to get out of a bunker? Or can you get the ball out on the first try but with no real accuracy? Can you truly say that you have confidence with your current sand or lob wedge to hit high soft landing shots from any lie? How many times have you hit your best drive of the day, with a perfect lie on the fairway and 75 yards or less to the pin knowing you have an opportunity to make a birdie or worse case a par. You skull it or hit the ball so thin it fly's across the green or miss the green completely leaving yourself a very difficult 3rd shot. Hit it so chunky or fat that the ball only goes a few feet and you're faced with the exact same shot again! 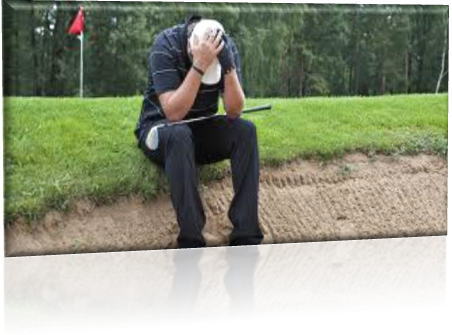 The end result being, you rarely had that chance to make a birdie putt or par and end up with a bogie or double bogie, we know how frustrating that is! Why is it so tough to use a wedge? Wedges are not designed to be forgiving and have a very very small sweet spot. So if you are off center just a fraction the ball wont spin properly or go the distance you need the ball to go. Since the wedge is the shortest club in your bag the angle of attack is steeper requiring superb hand eye coordination. Wedges are designed to dig into the ground and that's why the wedge creates the largest divot of any club in the bag. When you add these elements together there is virtually little room for error or forgiveness, just a slight miss calculation will result in a very poor golf shot. 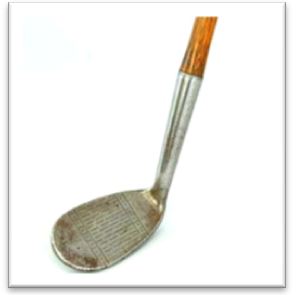 Just think about it - has the sand wedge design really changed since Gene Sarazen invented it almost 80 years ago? . What's the difference between this 80 year old vintage wedge and all these current wedges on the market? Technically nothing. This is why no matter how many wedges we buy year after year we always get the same poor results. Why continue to struggle with bunker shots, lob shots, flop shots and shots from 75 -80 yards and in from the fairway or rough? Just imagine how much fun playing golf would be if you had confidence when faced with a tough shot over water from 40 yards with no green to work with, knowing you can do it. 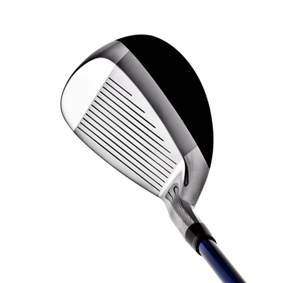 And with The Perfect Club Hybrid Wedge you don't even have to hit the ball perfectly to execute it. "Best club in my bag! I am getting the best results I've ever had from a wedge." Mike D. Granada hills, CA - 5 STARS! "When you first play with The Perfect Club Hybrid Wedge the probability is that you'll adapt to it immediately, easily and happily without hours of practice!" Why does The Perfect Club Hybrid Wedge work? You get all the benefits of a hybrid club but now in a sand and lob wedge. The Perfect Club Hybrid Wedge was created and designed as a hybrid club. It's not just a piece of metal formed in a casting, which is how every other wedge on the market is produced. The Perfect Club Hybrid Sand Wedge has the perfectly shaped sole, bounce and weight to deliver high, soft landing; accurate shots from every conceivable lie and conditions. Use The Perfect Club Hybrid Wedge from thick rough, long and short bunker shots, from the fairway, from hard pan, soggy turf, when you need a flop shot or lob shot and from lies that you would never attempt with any other wedge. You can use The Perfect Hybrid Wedge from anywhere inside of 80 yards...anywhere! The hybrid design will put excellent spin on the ball for control and stopping, even out of the toughest lies! There's a reason hybrid clubs are the most popular clubs in golf. Because they're easy to hit and forgiving. George Kirn from Titusville, FL "When my golf buddies saw it they said, "that's a strange looking club." After I let them hit it a few times all could say was, "Wow." I get out of greenside bunkers everytime and use it from the rough and fairway too. It has eliminated fat and thin shots for me. I can also deloft the club and chip with it. This is a club you need to have in your bag." Paul Wicks from Dunnington, York, North Yorkshire England "As with all the other perfect clubs I have this has been a revelation! It is so easy to use and saves me shots. This has taken the place of my regular sand wedge in my bag. I highly recommend it." Very satisfied customer from Grand Rapids, Michigan "I tried out the perfect club for the first time and I am extremely happy with the purchase. I have not been able to chip well for the past 3-4 years, but i can with this club. I can easily just pop it up in the air out of almost any lie, including bunkers. I have tried everything, but i think this is the answer i have been looking for." Verified Buyer Review: 4.5 of 5 Total Reviews: 26 Write a review. The Hybrid wedge took a little while for my eyes to get adjusted too, but it works really well. I've enjoyed using it in all types of shots up to 90 yards away. I'm very happy that I purchased it. I like this club. The first time I used it, I lower my score. I played today, didn't play as well. I would hit the club. To hard or to soft. I know that it a matter of getting use to the club. It's a great club to have in your golf bag.